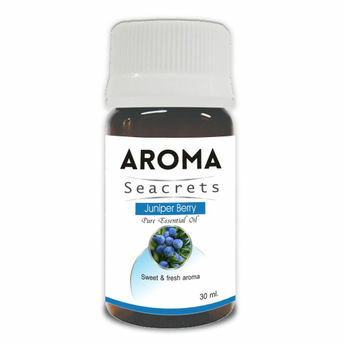 Aroma Seacrets Juniper Oil has a distinctive aroma that is woody, sweet, fresh and crisp. The smell of juniper berries is known to reduce physical and emotional signs of stress. It's said to have an encouraging and supportive affect on the emotional and spiritual aspects of a person, particularly helping a person navigate fears and resistance to the type of digging deep necessary for healing. When diffused, Juniper Berry helps cleanse and purify the air.